Everyone loves fresh, delicious, and beautifully prepared food. We offer options for every palate, and can create a menu customized for your needs. From a simple but beautiful cheese plate, to enticing hors d’oeuvres, to elaborate food stations, we want to add flavor to your event! 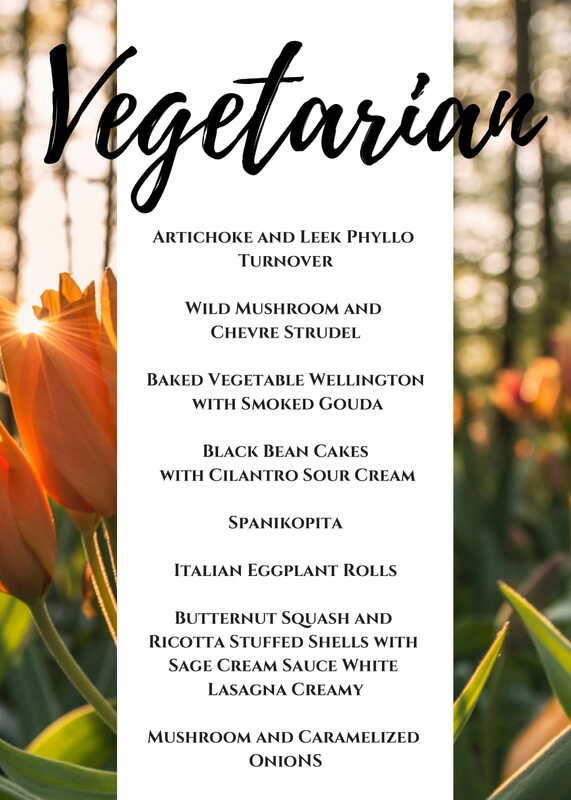 Our sample menus are meant to spark your imagination, but we are happy to create a unique menu for your event!